What do you do with your Silver Boot award if you're Cristiano Ronaldo? Give it to Nani of course! 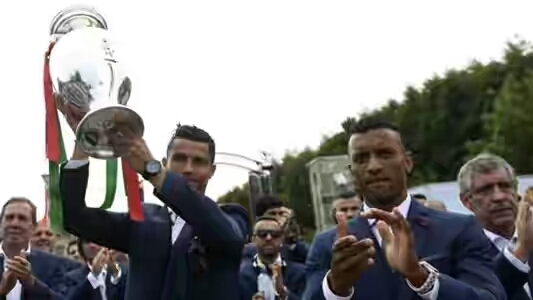 Valencia winger Nani took to social media following Portugal's 1-0 extra-time win over France in the final of the showpiece tournament to express his delight at Ronaldo giving him the award as a "gift". Still, Ronaldo could well need the extra space in the trophy cabinet soon, with the 31-year-old now odds-on favourite to win the 2016 Ballon d'Or.